How much is Summer Phoenix Worth? Summer Phoenix net worth: Summer Phoenix is an American actress, model, and designer who has a net worth of $4 million. Summer Phoenix was born in Winter Park, Florida in December 1978. She is the younger sister of Joaquin Phoenix, River Phoenix, Rain Phoenix, and Liberty Phoenix. 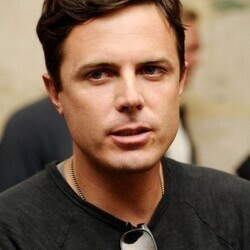 Summer married actor Casey Affleck in 2006 but the couple separated in 2016. Her family spent some time living in a religious cult called Children of God. Summer attended NYU briefly, but left to pursue an acting career. She has starred in the movies Russkies, Arresting Gena, Girl, I Woke Up Early the Day I Died, SLC Punk!, The Faculty, Committed, Esther Kahn, The Believer, and Suzie Gold. Phoenix has also appeared in episodes of the TV series Murder, She Wrote, Growing Pains, The New Leave It to Beaver, Swamp Thing, and ER. She was nominated for an Independent Spirit Award in 2002 for The Believer and for a Prism Award in 2003 for Wasted.